Want to be part of this? I have a new book coming out soon. It’s called You’re Going to Survive. 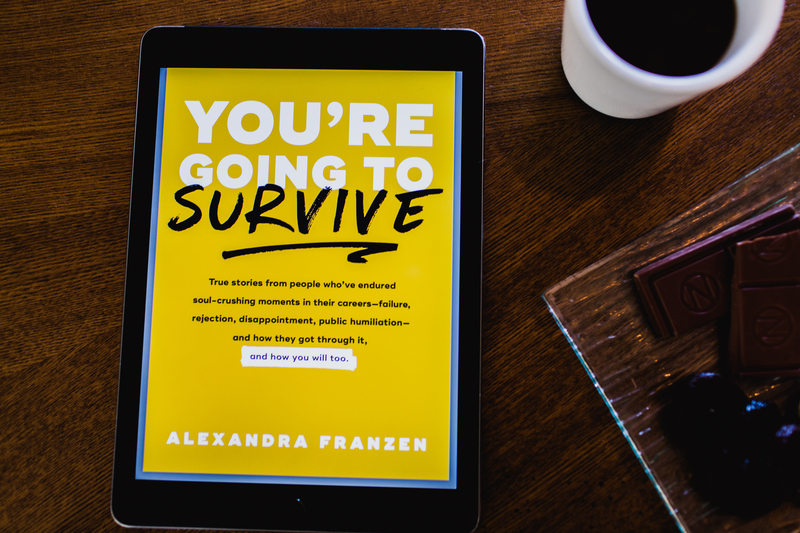 It’s a book about how to deal with stressful, soul-crushing situations in your career. Unhappy customers. Projects that flop. Embarrassing mistakes. Criticism. Rejection. Public humiliation. Pretty much every oh-my-god-that-is-so-awful situation you can imagine. How to get through it, grow through it, and emerge stronger. 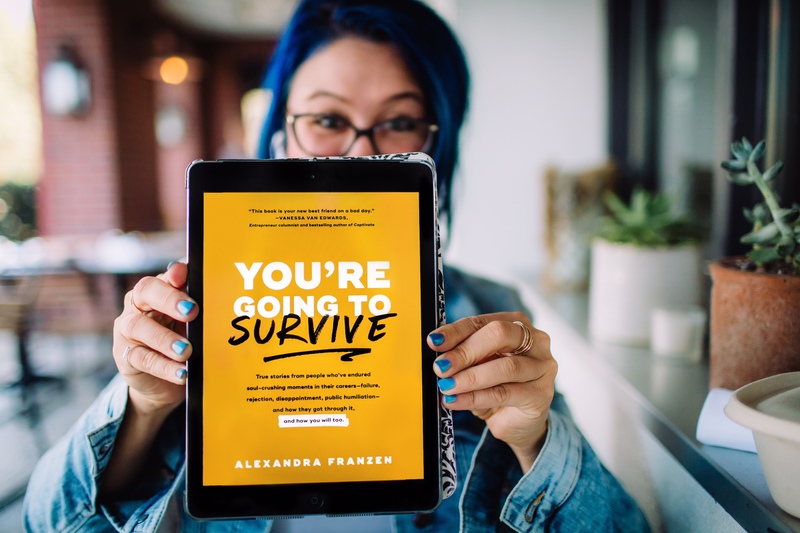 Creating this book reminded me that human beings are incredibly resilient, that setbacks can lead to breakthroughs, that rejection is often a blessing in disguise, and that we’re all so much stronger than we think. You’re Going to Survive. will be at your neighborhood bookstore in the not-too-distant future. Several people in my community have asked, “How can I support this book? How can I be part of this project?” I’m really grateful you asked. Thank you. You are amazing. — You can tell your friends about this book. — You can say those words to yourself, too. — You can mention You’re Going to Survive. on your blog, in your newsletter, wherever you like to hang out, and encourage folks to check it out. — Here are some nice book photos that you’re welcome to download and share anywhere you want: Photo 1, Photo 2, Photo 3, Photo 4. Or grab any photos from my website that you like. — If you’re a journalist, blogger, TV, radio, or podcast producer, anyone who works in the media, you can interview me. 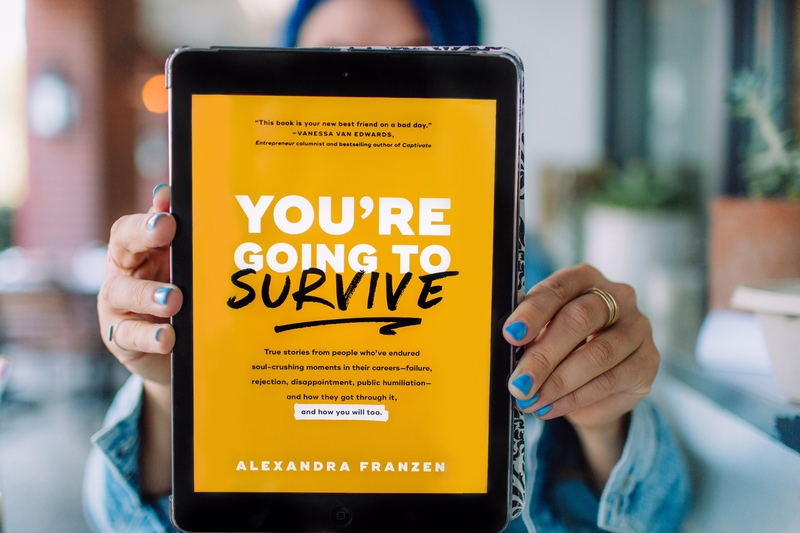 I’d love to share stories and tips from the book — and light up your audience with optimism and hope. 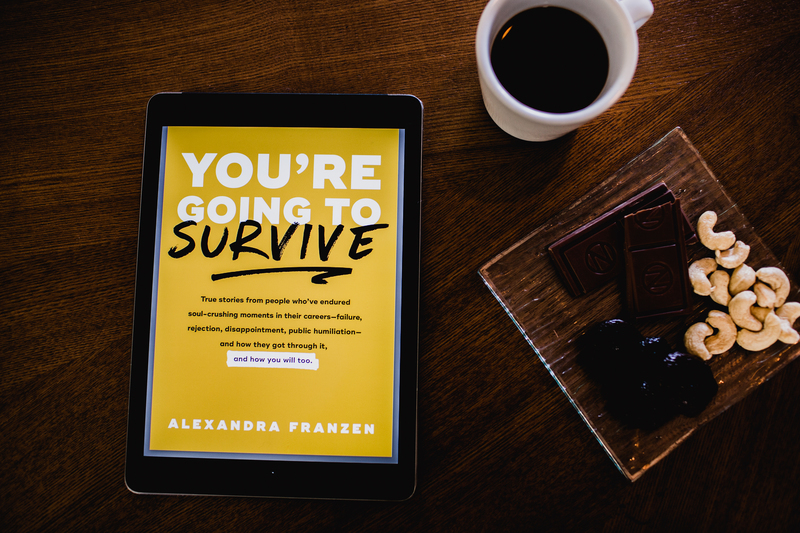 Email me at hello@alexandrafranzen.com and let’s set something up. For the media: Here’s a page with more info about the book, and potential interview topics, and here’s my audio / video highlight reel. In the past, I’ve been mentioned in places like Inc, BuzzFeed, Brit+Co, The Atlantic, and You’re The Boss! The NY Times Small Business Blog. I’ve appeared on shows like American Public Media’s Marketplace, Real Talk Radio, The Lively Show, Entrepreneur on Fire, and lots of AM / FM morning talk shows. I always come prepared and ready to rock! — If you work at a bookstore, you can order the book and sell it at your shop. Please contact Michelle at Mango Publishing — michelle@mango.bz — to do that. — You can make a donation to Lifeline, the Crisis Text Line, or another organization that provides support for people who are going through a really difficult time. — You can do all, some, or none of the things I just mentioned. No matter what, you are wonderful. Thanks for reading this note — and thanks for your kindness and support!